Since home ownership has long been a goal for New Zealanders, and remains for many the most significant form of investment, building is a major economic activity. Since 1990 there has been a boom in new building in coastal areas, especially in the Bay of Plenty. 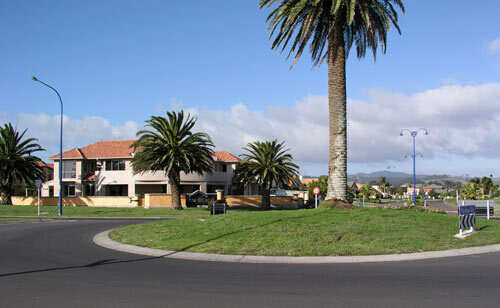 This housing project at Pāpāmoa, near Mt Maunganui, was typical of property developments in the 2000s.